As resources become increasingly scarce, organisations look for silver bullets to improve their work management practices. One of the best tools for organisational transformation is project management. It is fairly simple in concept, but is often ineffective for a whole range of reasons. Project work is very different from operational work. Operational work tends to have a greater urgency – it tends to keep the organisation afloat – but in the longer term, project work delivers progress, improvement and change. Every project is unique – the only repetition is the way in which individual processes are implemented. It has well defined deliverables, outputs or products that are designed to achieve particular results, outcomes or impacts. It has a well defined budget that necessarily limits the numbers of people and the types of materials that available to complete the project. But all that means nothing if the stakeholders have different expectations about each of these three dimensions. 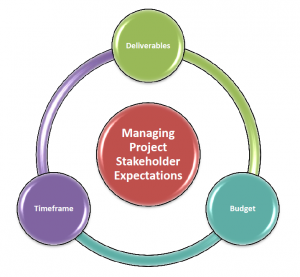 So, project management is also about identifying the expectations of each stakeholder and making sure that the expectations of all stakeholders are mutually compatible. Managing an ICT Workflow Management Project for the Department of Defence; this included improving the operations of the Work Management Committee and documenting key business processes, policies and guidelines. As well as significant experience with a range of project management methodologies including Prince2, and extensive knowledge of the Project Management Body of Knowledge (PMBOK), Hub consultants have coached ACT Government staff on the development of winning concept briefs and business cases for projects with a significant ICT component; and assisted with the development of planning acquisition and management processes for the ACT Government’s IT Investment Portfolio. If you have a project to be managed or you just need some advice, contact the Hub. When you’re ready to talk, we’re ready to listen!